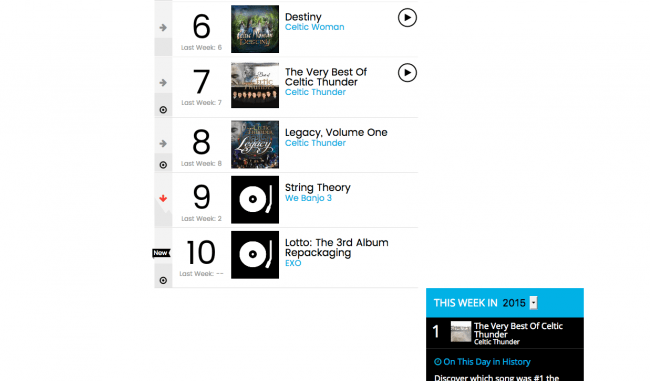 EXO‘s popularity and global appeal continues to soar as they remain the only K-pop group at rank number 10 on the Billboard World Albums Chart for their third repackaged album, Lotto. 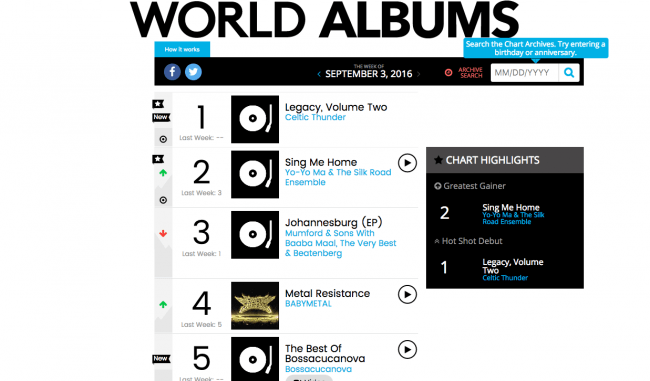 For the week starting September 3rd, EXO’s Lotto secured a spot on the top ten ranking of Billboard’s World Albums chart. This is another achievement for their repackaged album after securing an “all kill” since its release, while the album continues to rank first on South Korea’s Gaon Chart simultaneously. Aside from the album rankings, the music video for their title track “Lotto” has also been viewed at least seventeen million times since its release and further managed to reach first place on Youtube‘s weekly chart. In addition, the song “Lotto” helped the group achieve two music awards from both KBS Music Bank and Mnet M! Countdown. EXO continues promoting the track in music shows this week. Congratulations to EXO for another music achievement!